Tonight when I got home there were 2 boxes of glass tiles waiting for me. So exciting!! 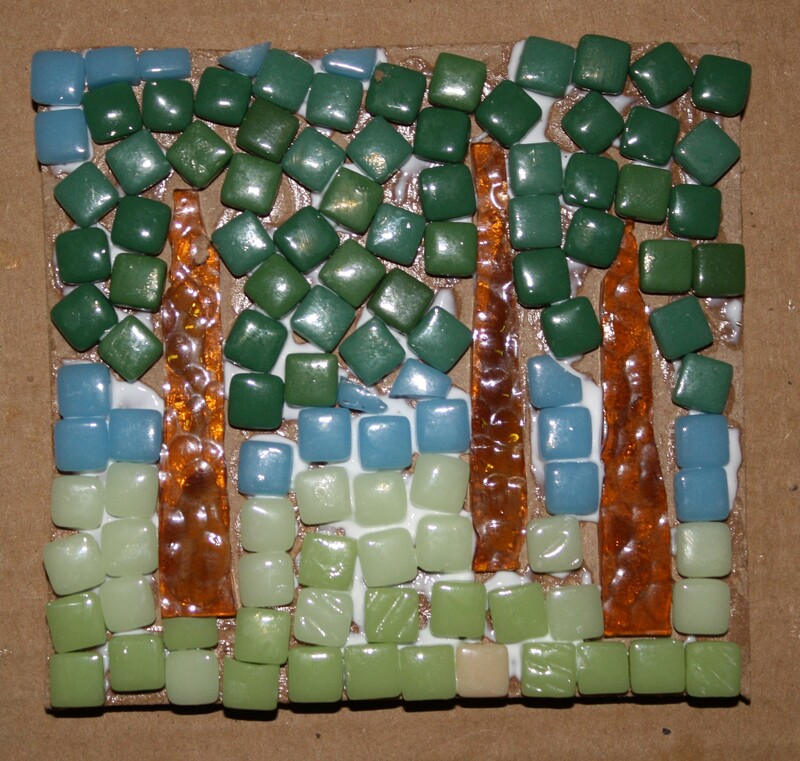 Most of it was for a big project that I’m working on but I also ordered tiny recycled glass tiles. I love the colors and the size is good for small projects. I also found some brown glass for tree trunks. I just had to use my new glass tonight.